What might you do if you found yourself with almost 50,000 square miles of seemingly virgin land in a place you have never seen, far from home? In 1681, when William Penn – entrepreneur, scholar, religious mystic, Enlightenment intellectual – acquired Pennsylvania, he had a ready answer. By the time he was 22, Penn understood coercion. He had been exiled from Oxford University for boycotting Anglican services and for taunting fellow students who acceded to Oxford’s religious practices. Returning home, the young Penn – new to Quakerism – was beaten by his father, Admiral William Penn, who sent his son traveling in hopes that he would mature into a more reasonable adult. But the admiral did not succeed in dampening his son’s religious fervor. Instead, two stints in prison (as a result of unconventional behaviors stemming from his religious zeal) gave the young man time to read, and to contemplate, consolidate, and write down his Quaker ideas. A man of his times, Penn saw his identity as a member of the British upper classes. He had servants, and he owned slaves. But Penn’s religious faith led him to want to do good in the world. Located at the corner of 4th and Arch Streets in Philadelphia, the Arch Street Meeting House, completed in 1804, was built according to the Quaker principles of plainness and simplicity by master carpenter Owen Biddle. Courtesy of Partners for Sacred Places. He wanted to put into practice his conviction that in an unsullied environment, “that of God in each person” would emerge triumphant. In No Cross, No Crown, written in prison, he had concluded that some suffering (the cross) was a necessary part of reward or salvation (the crown). No Cross, No Crown was also a play on words, suggesting that one aspect of an unsullied environment would be a principled refusal to knuckle under to the false authority of the established church or to the king. But Quakers were accustomed to persecution for eschewing “worldly” conventions, and Penn had no illusions that it would be easy to create that perfect environment. Hence, in devising his New World utopia, Penn spent many months recruiting men of conscience to populate his new province. He also drafted a “Frame of Government” to provide the scaffolding for community, and secured approval from other Quakers who read the document. A businessman as well as a man of deep religious faith, Penn also wanted a return on his investment. He dreamed of a “great towne” – a bustling commercial center that would command a place of respect in the Atlantic World. On the other hand, however, Penn wanted a bucolic “greene countrie towne” befitting an English country gentleman. So he hired surveyor Thomas Holme to lay out a grid to accomplish these contradictory goals. Parks would serve for neighborhood gathering places, and a central marketplace would help to cement a community and an economy based upon morality, integrity, and mutual compassion among citizens. The “Frame of Government,” based upon England’s Magna Carta, also affirmed Enlightenment ideas of equal justice for all who would consent to live within the laws. From this premise flowed the idea of toleration and fair treatment for people of diverse religions and cultures – a principle that extended to offering contractual relationships for acquiring land from the local Indians. But in these aspects also the wily businessman merged principle with expedience. At first he was leery that Catholics’ allegiance to the pope might compromise their loyalty to local law. But he eventually concluded that religious persecution interfered with the smooth operation of commerce and property, and therefore Catholic residents should be allowed to pursue their religion and community life, as long as they abided by the civil laws. Penn’s colony early welcomed Jews, as well as Anglicans, Mennonites, and the Lutherans who established “old Swede’s” Church by the end of the seventeenth century. That atmosphere of religious openness also paved the way for the world’s first African American Christian denomination – the African Methodist Episcopal Church – and for myriad religious groups who reflected the city’s continuing diversity. Through three centuries of growth and change, Philadelphia has retained much of Penn’s vision, and has returned repeatedly to his ideas of community and tolerance. Four of the five community parks remain in Center City as important markers of neighborhood unity. In the middle of the nineteenth century, the city government reaffirmed Penn’s vision by purchasing country estates to create Fairmount Park – a resource used and valued by various residents. Philadelphia is still known as a “City of Neighborhoods,” but the tensions that were evident in its founding continue. The public city parks have often been sites of contention over who has the “rights” to define their use. And just as Penn was suspicious of Catholics, anxieties among diverse religions – Protestants, Catholics, Jews, and more recently Muslims – have peppered the city’s political, geographic, and economic life, even as some residents continue to celebrate the traditions of diversity and tolerance. In 2010, after nearly a decade of negotiation among these diverse people, Philadelphians unveiled a memorial to the city’s years as the nation’s capital (1790-1800). This historic site, the President’s House, takes a hard and honest look at the place of slavery in the development of the nation’s early history. Nearby, a new National Museum of American Jewish History also opened its doors. These are but a few of countless examples of the enduring influence of the “Holy Experiment” that invite Philadelphia residents to turn “diversity” into “community. Emma Lapsansky-Werner is Professor of History Emeritus at Haverford College, where she was Curator of the Quaker Collection. 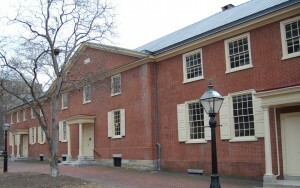 Historical Society of Pennsylvania (Explore in South Philadelphia). Historical Society of Pennsylvania (Explore in Sounds of the City). Partners for Sacred Places (Explore in Holy Experiment). Partners for Sacred Places (Explore in Mother Bethel AME Church). Library Company of Philadelphia (Explore in Nativist Riots of 1844). Philadelphia Archdiocesan Research Center (Explore in Roman Catholic Education). Special Collections Research Center, Temple University Libraries (Explore in Bicentennial). Bud Keegan Images (Explore in Roman Catholic Education). Lenape people, with reverence for the environment, are guided by conviction that the Great Spirit (Great Manito) is present in all living things. 1646: Swedish settlers dedicate a church at Tinicum; receive gift of property at Wicaco, 1666, and build surviving Gloria Dei (Old Swedes’) Church (shown here), 1698-1700. Before 1680: Quaker meetinghouses built at Chester and Falls (later Fallsington, Bucks County). 1681: William Penn receives land grant and envisions Pennsylvania as a “Holy Experiment.” In addition to Society of Friends (Quakers), diverse settlement leads to congregations of many faiths, including Protestant denominations, Roman Catholics, and Jews. 1690-94: Keithian controversy divides Quakers. 1739-40: George Whitfield, Great Awakening evangelist from England, draws large audiences. 1776: As colonies declare independence from Great Britain, Anglican Christ Church (shown here) remains open but replaces prayers for the King with prayers for Congress. 1777: With the British Army approaching Philadelphia, Pennsylvania Executive Council exiles twenty pacifist Quakers to Virginia. 1781: Quakers who reject pacifism during the American Revolution form the Religious Society of Free Quakers; build meeting house at Fifth and Arch Streets, 1783. 1782: The Case of the Episcopal Churches in the United States Considered, by William White, published in Philadelphia, focuses attention on planning for independent American Episcopal Church. 1791: Reverend Absalom Jones and other African American activists draw up plans for an African Church in Philadelphia. 1792: Formation of black churches accelerates after blacks are relegated to segregated gallery seating at St. George’s Methodist Church; Absalom Jones, Richard Allen, and others walk out in protest. By 1794, movement leads to founding of St. Thomas Episcopal Church, Bethel Church (later Mother Bethel AME, current building shown here), and African Zoar Methodist Episcopal Church. 1808: Roman Catholic Diocese of Philadelphia is established; becomes Archdiocese in 1875. 1808: Pennsylvania Bible Society founded to publish and distribute Bibles (followed by Philadelphia Bible Society, 1838). 1820s: Societies for moral improvement promote temperance, prison reform, concern for juvenile delinquents, and health care for indigent women. 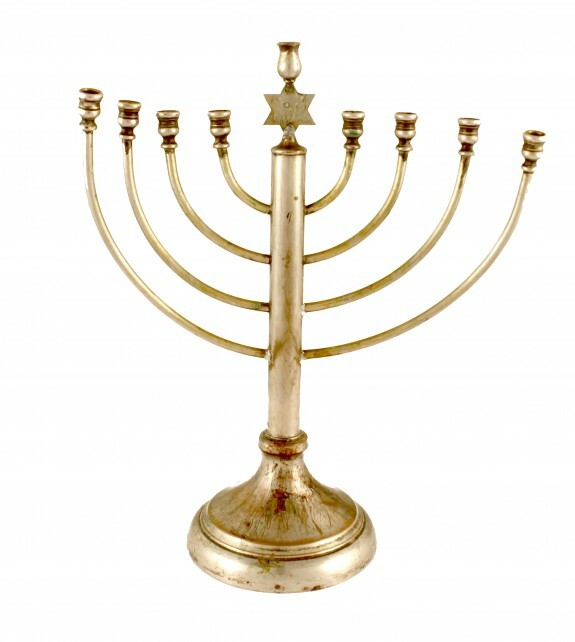 1827: Hicksite-Orthodox Separation occurs within Society of Friends. 1842: American Protestant Association formed by clergy alarmed by growing presence of Catholicism. 1844: In a decade of high immigration of Irish Catholics, rioting nativists attack Catholic churches; St. Augustine’s burned (shown here). New nationality parishes created to serve surge of Roman Catholic immigrants from eastern and southern Europe. 1875-76: Evangelists Dwight L. Moody and Ira D. Sankey bring revival crusade to Philadelphia for eight weeks; preach to audiences of 10,000 in John Wanamaker’s Grand Depot department store, Thirteenth and Market Streets. 1870s-80s: Baptist Temple’s night school for working men becomes Temple University (chartered 1888). 1882: Immigration of Jews fleeing Russian pogroms begins, leads to development of a Jewish Quarter in South Philadelphia. 1890: Roman Catholic High School, first free Catholic high school in U.S., established (shown here). African American migration from the South expands existing congregations and spawns new religious movements. 1925: Moorish Science Temple founded; described by Arthur H. Fauset in Black Gods of the Metropolis (1944). 1930s-40s: Sunni Islam spreads among Philadelphia African Americans. African American congregations gain in political influence (shown here, President Jimmy Carter at Zion Baptist Church, 1980). 1954: Malcolm X comes to Philadelphia to organize Temple No. 12 of the Nation of Islam; Elijah Muhammad speaks to thousands in 1960 and 1963. 1976: National Museum of American Jewish History founded (expanded in new location, 2010). 1977: John Neumann, nineteenth-century Bishop of Philadelphia, canonized. 1979: Pope John Paul II visits; thousands attend Mass on Benjamin Franklin Parkway. 1989: Al-Aqsa Mosque founded to serve first-generation Arab Americans. Declining population forces closings or consolidations of many Catholic schools and parishes. 2000: Katharine Drexel, Philadelphia native, canonized by Pope John Paul II. 2008: Church of Latter Day Saints announces plans for a Temple at Eighteenth and Vine Streets; groundbreaking, 2011, anticipated completion 2016. Soderlund, Jean R., Editor. William Penn and the Founding of Pennsylvania: A Documentary History. Philadelphia: University of Pennsylvania Press, 1983. Penn Family Papers, Historical Society of Pennsylvania, 1300 Locust Street, Philadelphia. Quaker and Special Collections, Haverford College, Swarthmore, Pa.